Based out of the Hudson Valley in New York state, this small bakery is dedicated to creating gourmet brownies, cookies and biscotti from the highest-quality products. From their small-batch approach to their superior ingredients, you are certain to be satisfied with the delectable treats Ruth’s Brownie Kitchen has to offer. An artisanal bakery specializing in small-batch, gourmet brownies, cookies and biscotti. Committed to creating the best selection of artisanal brownies, Ruth’s offers two main varieties of brownies—classic cake-style and extra fudgy, ensuring every brownie lover will find just the type they love. 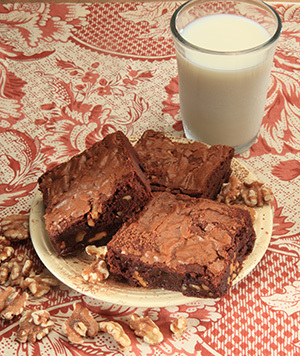 Ruth’s classic cake-style brownies are moist and chewy, featuring the vendor’s old-time crust. These classic treats are available in 12 delightful flavors, with options including peanut butter, cream cheese, caramel and chocolate chunk. If fudge brownies are more your style, Ruth’s extra fudgy brownies with their fudgy middle and rich flavor are also available in a variety of 12 flavors including toffee crunch, mint delight, original chocolate and raspberry. Great news for individuals with gluten allergies—Ruth’s Brownie Kitchen now offers six flavors of gluten-free brownies, crafted with buckwheat in place of flour. Some of the gluten-free offerings include walnut, caramel swirl and extra fudgy. Are you one of those people that loves brownies but thinks the crunch top is the best part? Be sure to check out Ruth’s zingers, which are made of only the crisp top portion of the brownie. These zingers are available in three popular flavors: chocolate chunk, walnut and toffee crunch, and are also available gluten-free. In addition to their many brownie options, Ruth’s also carries a wide selection of cookies (eight flavors) and biscotti (eight flavors). Looking for a perfect gift? Ruth’s Brownie Kitchen also specialized in gift baskets and assortments with eight unique gift combinations featuring their gourmet baked goods. All of Ruth’s brownies and treats are baked in small batches with only the finest, quality ingredients. Dedicated to delivering only the best products to their clients, Ruth’s Brownie Kitchen only uses natural and organic ingredients. No chemical preservatives or artificial flavors are used ever. Exclusive Valrhona Chocolate (also available for purchase on their website) is the premium chocolate base for every brownie. Organic butter, milk, cream and eggs, delivered from small, local farms, are used in every batch of these gooey treats. Ruth’s also only use the top-quality King Arthur flours in their recipes. As previously discussed, Ruth’s Brownie Kitchen offers two main brownie options (classic cake and extra-fudgy) each of which are available in a wide range of flavors (12 each). They also carry their zingers and gluten-free brownie options. Ruth’s is in the process of becoming kosher-certified, and can be contacted about creating vegan options as well. Although Ruth’s small-batch, made-to-order mentality results in delightful, fresh treats, this approach does have its drawbacks. Due to the small nature of this artisanal bakery, they do not offer the perk of a club membership at this time. They do, however offer a wide selection of gift and assortment options, letting you sample all of their top-quality products. 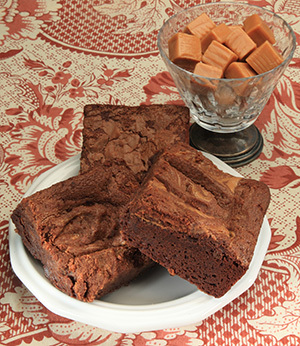 Ruth’s extra fudgy and classic cake-style brownies are available for purchase in half dozen, one dozen or two dozen. The prices vary slightly depending on the flavor, however the average prices are: $19.99-$22.95 (half dozen), $38.99-$44.95 (one dozen) and $75.99-$88.95 (two dozen). The gluten-free varieties are available for purchase by half dozen or dozen with pricing varying slighting depending on selection. The ranges are: $24.95-$26.95 (half dozen) and $47.95-$51.95 (one dozen). The popular zingers are packaged in bags for purchase, with one bag for $5.95-$6.95, two bags for 10.95-$11.95 and three bags for $15.95-16.95. Again, these prices vary slightly depending on the flavor selected. Looking for a gift or assortment? Ruth’s has several beautiful-curated gift basket, tin and assortment options. With prices starting at $39.99 for their festive birthday basket and topping out at $159.99 for their decadent two-pack death by chocolate gift basket. Ruth’s does not offer the purchase of individual brownies at this time. Ruth’s Brownie Bakery bases their shipping and handling prices on the dollar-value of the order placed. Orders are shipped via USPS priority (usually arrive within two days of shipment) or via express (next day delivery). The rates range from $8.99 to $64.99 depending on the merchandise total and whether you want standard or express delivery. Due to their 100% freshness guarantee, Ruth’s always ships their delectable treats the same day of baking to ensure ultimate taste. Ruth’s carefully packages each order to ensure no breakage or melting occurs while in transit. In the Summer months (May 1-September 30) they package all baked goods with insulated packaging and a cold-pack to further ensure freshness upon arrival. During these months an additional $7.00 shipping cost in incurred. Ruth’s Brownie Kitchen is the perfect place to find gifts for the sweet tooth in your life! With their gift baskets, towers and combo assortments, you are certain to find something for everyone on your list. Some basket options include their birthday basket (which contains a variety of brownies, biscotti and zingers), their deluxe sampler gift basket (includes brownies, biscotti, cookies and chocolate) and their death by chocolate gift basket (contains assorted brownies, cookies, biscotti and chocolate). Each beautiful gift basket is wrapped up decoratively and secured with grosgrain ribbon. Delightful assortments and samplers from Ruth’s include the vendor’s brownies to die for gift assortment (contains a selection of most popular brownie flavors), their death by chocolate gift box sampler (with brownies, cookies, biscotti and chocolate) and their cookies to die for gift assortment (contains sampling of their most popular cookie formulations). All Ruth’s Brownie Kitchen purchases are carefully wrapped and packaged in their cute pink boxes with handles. Even better, if you are purchasing a gift for a specific holiday or event, Ruth’s offers special themed wrapping for an additional $3.50 charge. A few of the holidays and events you can choose from include: birthdays, weddings, graduations, Valentine’s Day and Christmas. Ruth’s gourmet products are also ideal for corporate and business gift giving. When shopping for corporate gifts, Ruth’s allows customers to choose from their standard, beautifully-packaged gift options, or to create their own unique assortments. Ruth’s also offers volume discounts for corporate purchases. Due to their dedication to sending out only the freshest, highest-quality products, customer service is important to Ruth’s Brownie Bakery. Ruth’s offers a toll-free customer service number where you can direct any questions or concerns, which is open for calls Monday-Friday from 9:00 a.m. until 5:30 p.m. and on Saturday from 9:00 a.m. until noon. Customers are also able to submit questions, complaints or concerns via email or through a form on their website. Additionally, Ruth’s has an extensive FAQ section on their website which answers most basic questions about shipping, ingredients and special orders. Orders can be placed securely through Ruth’s website, or through their customer service hotline. You can tell this is a small-town bakery as you feel right at home on their website thanks to their brownie blog, recipes and baking tips. This small, artisanal bakery is perfect for individuals looking to purchase small-batch orders baked from the finest quality ingredients. 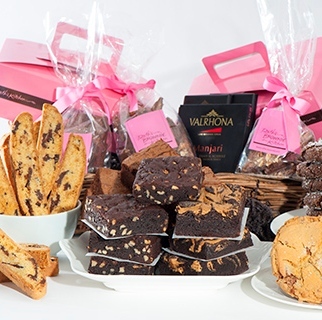 Ruth’s Brownie Kitchen is a great choice for those looking to purchase for themselves or to send a caring gift to friends, family or business colleagues. They do not currently offer a brownie club, so individuals that want the perk of a monthly-delivery may not find Ruth’s to be the best option. Ruth’s is also ideal for individuals with gluten-allergies, as they offer several delicious gluten-free options. Their website also notes that customers can contact them about vegan options. We like that this artisanal bakery creates their decadent treats in small batches, giving every shipment a small-town feel. 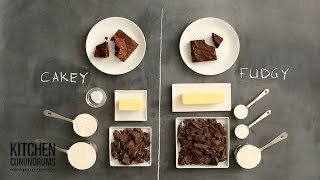 Even better, all of Ruth’s brownies, cookies and treats are created from ingredients we can trust. We like that they offer two-styles of brownies, so that everyone can find something to love despite specific preferences. We like that they offer gluten-free options that are equally delicious to their other baked goods. We also like that they have a variety of gift options and wrapping themes available for those on the hunt for a good gift. Unfortunately, Ruth’s Brownie Kitchen does not offer a club membership at this time, which is a perk that we would love to have. Also, due to their small nature, Ruth’s is not able to accommodate large orders on a short notice, which could be an issue for those last-minute shoppers among us. Despite these drawbacks, Ruth’s is still a wonderful bakery that will bring delightful treats into your home.